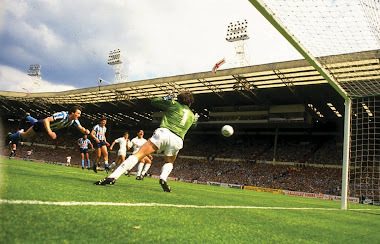 Manchester City's visit to Highfield Road in August 1989 took Coventry City to a new level. City’s £1 match day programme gave driving directions to the next fixture at Millwall while ‘Oggy’ revealed in ‘Talkabout' how departing assistant physio Neil Sillett once raced onto the pitch to treat Dave Bennett only to be told after several seconds that he was treating the wrong leg. The new Asics replica shirts were on sale for £15.50 while the squad were pictured with their brand new ‘G’ registration plate Peugeot cars. Deep into injury-time City won 2-1 to top Division One for the first time ever. The man whose goal took them there was David Smith. 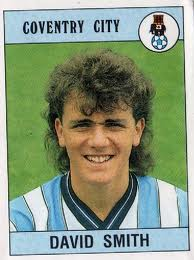 Born in Stonehouse, Gloucestershire, Smith made his debut at Old Trafford in February 1988. City lost 1-0 but seven days later he starred on his home debut in a 3-0 win over Sheffield Wednesday. 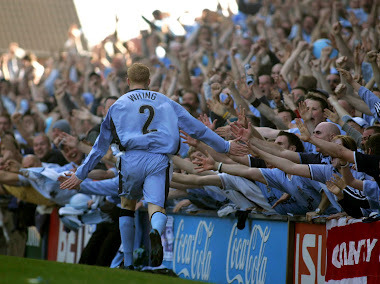 Not since the introduction of Stuart Pearce to the Highfield Road faithful had such an impact been made and the left-winger went on to make 182 first-team appearances, scoring 19 goals. His last goal for the club came in the first ever Premier League fixture, a 2-1 win over Middlesbrough. In his prime David Smith was a terrific player who ran at opponents with pace and trickery (see clip below). 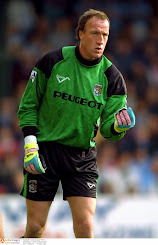 Smith’s final game for the Sky Blues came in that 1992/93 campaign, a goalless draw at Palace before he moved to Birmingham in a swap deal with David Rennie. Further moves to West Brom, Grimsby and Swansea took him over the 400 appearance mark to compliment ten Under-21 caps from his Coventry days. He retired in 2003, aged 35, and now works alongside FA Cup winner Graham Rodger at Grimsby Town in the commercial department. 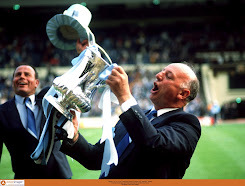 John Sillett’s 1989 team held onto pole position for ten days until their visit to Millwall. Tony Cascarino and Teddy Sheringham, in their second season in Division One, were on the score sheet in the 4-1 win as their win took them to the summit, replacing City in the process. 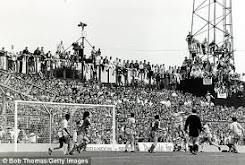 Millwall’s top flight tenure lasted just two seasons as they capitulated to bottom spot while City finished the season in 12th position, won at Anfield and reached the semi-finals of the Littlewoods Cup. 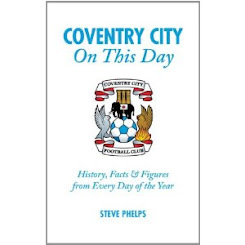 During Smith's time at Highfield Road City finished 10th, 7th, 12th, 16th and 19th. He played in the 2-0 defeat at Villa when City relied on Notts County defeating Luton to maintain our top flight status so will know all about the situation we are in with three games to play. I just hope West Ham's form continues at Ashton Gate tonight while we deal with the resurgent South Londoners. City have to deliver, there’s no time for no-show’s any more, as supporters we need 100% from every player and a little bit of luck to get us out of this nightmare. 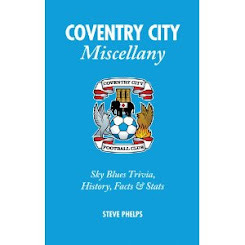 The last nine months have felt like an eternity, I sincerely hope there’s a final twist that usurps the 1984/85 escape, it’s now or never for our beloved Coventry City.